The highly acclaimed 2015 movie The Revenant stunned audiences with its gripping story and beautiful cinematography, weaving an epic tale of resilience and revenge. Although the filmmakers took some liberties in bringing the story to life, the events shown in the movie are, remarkably, based on true events. 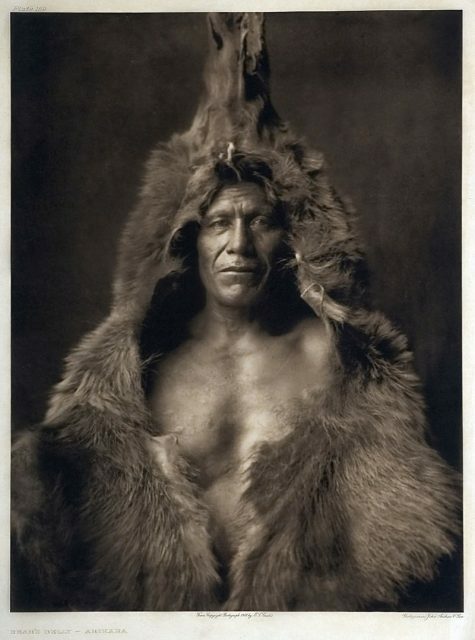 The Revenant was inspired by the story of Hugh Glass, an American frontiersman, fur trapper and explorer who operated around the Upper Missouri River in the early 19th century. According to Encyclopedia Britannica, in 1823 he was working as a guide for General William Henry Ashley, who intended to lead a fur trading expedition up the Missouri River. Expeditions of this kind were a dangerous endeavor. Fur trapping parties were at risk of attack from Arikara warriors, and Ashley’s party soon suffered an assault that killed 15 people. Glass himself was wounded in the attack, which would be the catalyst for the Arikara War. However, the risk of conflict was not the only danger facing the fur trading party. 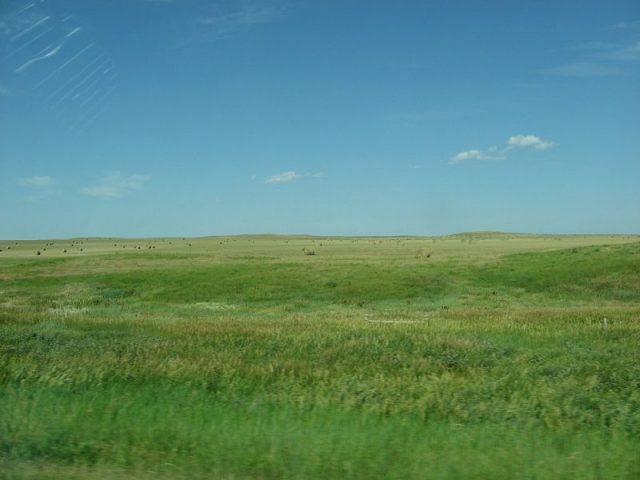 This region, in modern-day South Dakota, was wild country, populated by fearsome grizzly bears. The 200 mile route of the 1823 odyssey by Glass. These great beasts could rise over 12 feet tall and typically weighed around three quarters of a ton. 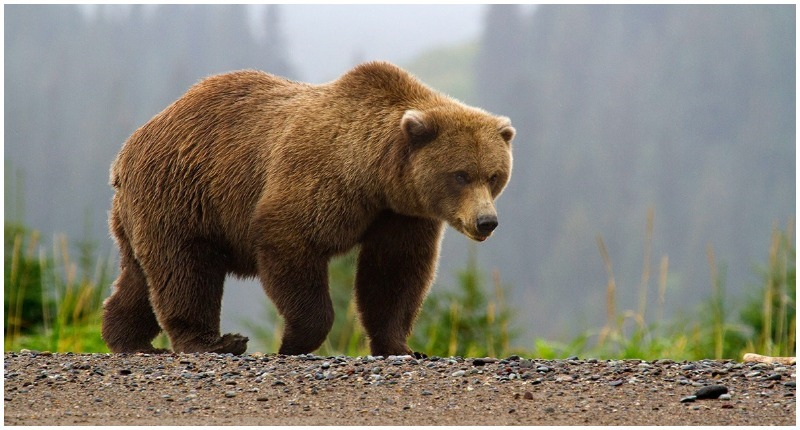 An encounter with a grizzly left little chance of survival. One day, while scouting ahead of the rest of the party, Glass accidentally stumbled on a grizzly bear and her two cubs. He fired a shot straight into her chest, but the bear continued her attack. 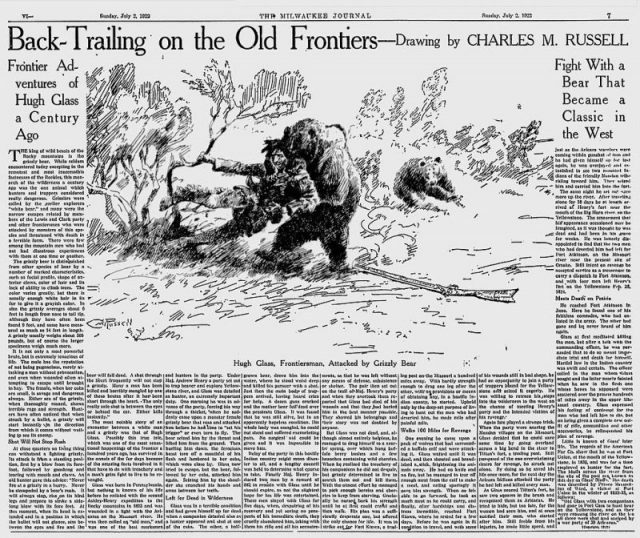 A century after the events unfolded, the Milwaukee Journal published an article about the exploits of Hugh Glass. 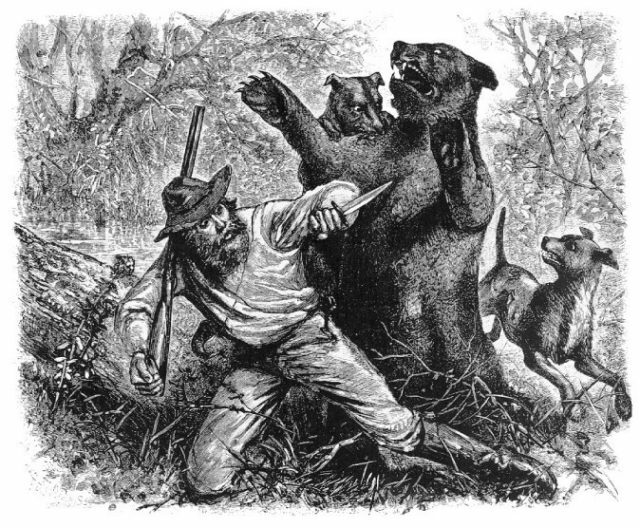 According to The Telegraph, Glass was just able to hold her off with his hunting knife until his companions caught up with him and managed to kill the bear. The next day, Glass showed little sign of improvement, but he clung persistently to life. Torn between a sense of loyalty to Glass and the need to move the company away from Arikara territory before they were attacked again, the leader of the group decided to pay two men to remain behind with Glass until he died. These men were John Fitzgerald and a youth named Jim Bridger. They stayed with Glass for a week, but as the days passed, and Glass continued to struggle on, Fitzgerald became increasingly anxious. He convinced Bridger to abandon Glass, arguing that there was no sense in all three men losing their lives. They took all the supplies and tools, leaving Glass utterly alone and defenseless. Incredibly, Glass regained consciousness and gradually began to recover his strength. Initially he was unable to stand, but successfully dragged himself to a nearby river where he survived on water and whatever roots and berries he could find. According to The Telegraph, he was forced to set his own broken leg, and allowed maggots to eat away at the dead flesh of his wounds to prevent gangrene. Later he feasted on the rotting meat of abandoned kills, and little by little, he began to drag himself towards the nearest settlement, Fort Kiowa, a staggering 250 miles away. As the days passed, Glass grew stronger and was finally able to stand. One day he interrupted a group of wolves that had just killed a buffalo calf, and he knew that this would determine his survival. He chased away the pack and feasted on the carcass for several days. 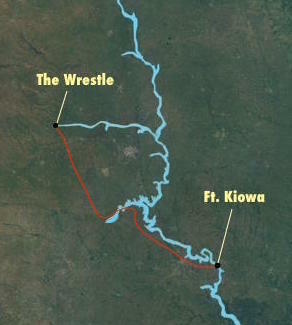 Eventually he came to the Cheyenne River, where he was able to fashion a raft and float downstream to Fort Kiowa. At the forefront of his mind was the image of the faces of the two men who had abandoned him; he was determined to survive just in order to look them in the eye and have his revenge. Finally, after six weeks of travel, Glass came to Fort Kiowa. Having recuperated from his ordeal, he was determined to seek out Fitzgerald and Bridger. He first encountered Bridger, but took mercy on him when he realized the boy’s youth and remorse for what he had done, under Fitzgerald’s instruction. However, Glass was still consumed by rage against Fitzgerald. When he finally caught up with him, he discovered that Fitzgerald had signed up as a scout in the US army, making him effectively untouchable. Glass vowed that the day Fitzgerald left the army he would no longer be safe, and that he would pursue him to his death. But Glass was never able to fulfill this promise. 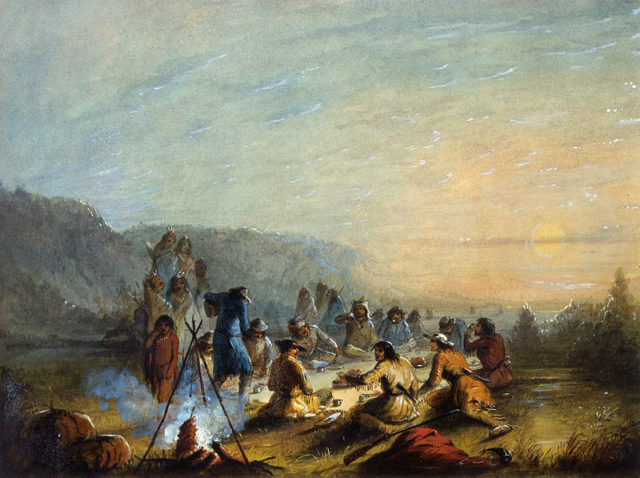 He returned to life as a guide and fur trapper, and eventually met his end at the hands of the Arikara in 1833. 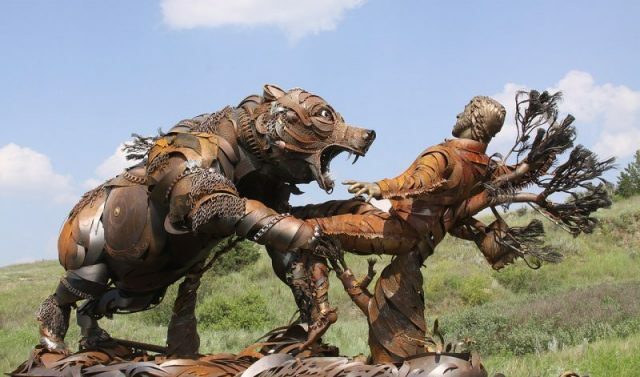 Although his life was cut short, Hugh Glass is remembered throughout the United States for his incredible feat of survival. There are no written sources from Glass himself concerning his ordeal, and the earliest written record is an account published in the literary journal The Portfolio. It is impossible to know how much of the story is fact, and how much is literary embellishment. Nevertheless, it remains a timeless tale of endurance, tenacity and retribution, and it continues to resonate with readers and audiences today.